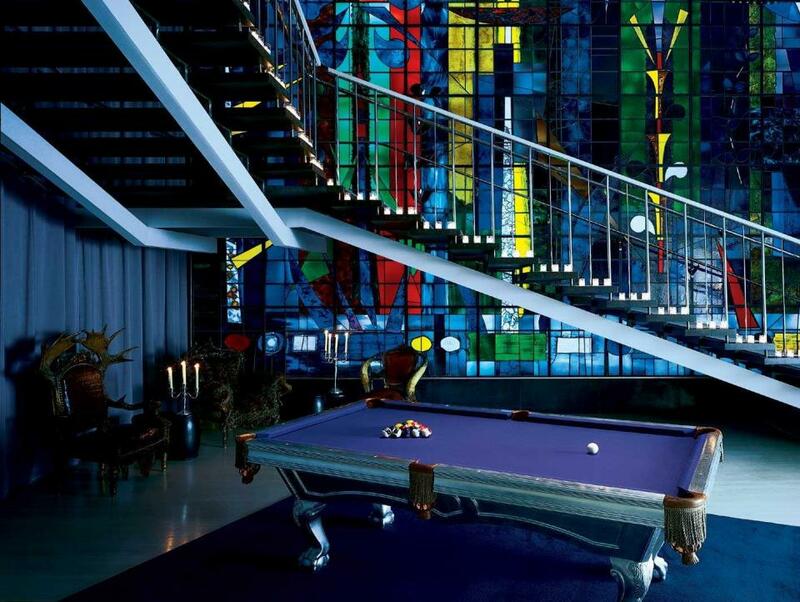 The Billiard Room at Sanderson London has a low-key clubby vibe and features an antique silver-leafed billiard table, whimsical, lodge-like antler furniture and original 1950s stained glass design by John Piper, one of the most noted British artists of the 20th Century. 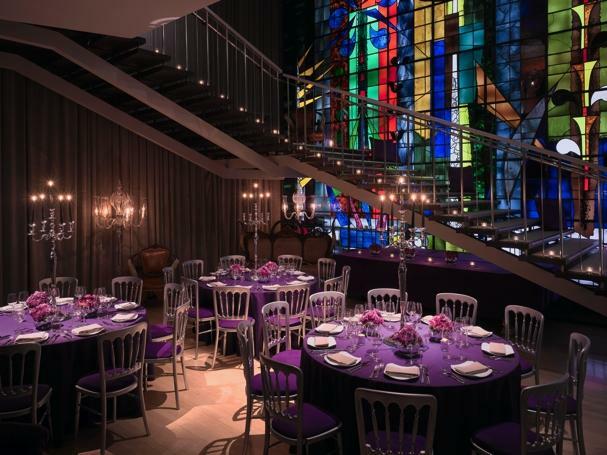 Its 75 Square Metres/807 Square Feet of space is perfect for meetings, private events and receptions. Sanderson offers audiovisual and telecommunications equipment, plasma monitors for audio-visual playback, smart boards, electronic flip charts, portable computers, mobile phones and fax machines and multilingual secretarial staffing upon request. Parking through NCP, please visit their website for rates. Sanderson, in the heart of London’s West End, offers a retreat from the bustle of the city into a world of fantasy and well-being. The landmarked 1950s building has been transformed by Philippe Starck into a surreal Cocteau-like dream world, epitomising a new luxury that is smart, pared-down and tempered with a healthy dose of wit and irony. With newly renovated rooms concepted by designer Tim Andreas of Banjo, the rooms maintain their sense of whimsy while offering state of the art details and luxurious touches at every turn. Agua spa, Sanderson’s renowned temple of body and soul, offers a vast array of treatments to pamper and soothe, restore and resurrect. Multiple dining and cocktail offerings grace Sanderson. Guests can dine al fresco year round at Courtyard Garden, and our Mad Hatter’s Afternoon Tea is on the “must-do” lists of London’s elite. Purple Bar provides an intimate space for cocktails and conversation, while the Billiard Room evokes an old world clubby vibe. Just steps from Oxford Street shopping and the Soho district in London, Sanderson is a five star luxury boutique hotel ideally located for weekend breaks or business travel.